The subfield of environmental sociology studies the way humans interact with their environments. This field is closely related to human ecology, which focuses on the relationship between people and their built and natural environment. This is an area that is garnering more attention as extreme weather patterns and policy battles over climate change dominate the news. A key factor of environmental sociology is the concept of carrying capacity, which describes the maximum amount of life that can be sustained within a given area. While this concept can refer to grazing lands or to rivers, we can also apply it to the earth as a whole. You might have heard the expression “the tragedy of the commons.” In 1968, an article of the same title written by Garrett Hardin described how a common pasture was ruined by overgrazing. But Hardin was not the first to notice the phenomenon. Back in the 1800s, Oxford economist William Forster Lloyd looked at the devastated public grazing commons and the unhealthy cattle subject to such limited resources, and saw, in essence, that the carrying capacity of the commons had been exceeded. However, since no one was held responsible for the land (as it was open to all), no one was willing to make sacrifices to improve it. 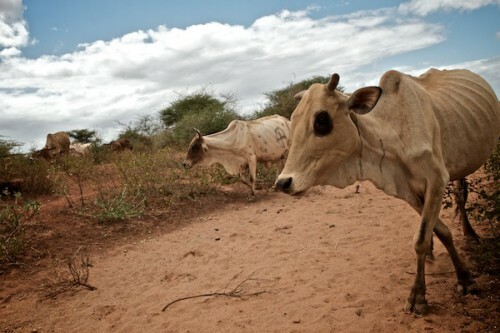 Cattle grazers benefitted from adding more cattle to their herds, but they did not have to take on the responsibility of the lands that were being damaged by overgrazing. So there was an incentive for them to add more head of cattle, and no incentive for restraint. Satellite photos of Africa taken in the 1970s showed this practice to dramatic effect. The images depicted a dark irregular area of more than 300 square miles. There was a large fenced area, where plenty of grass was growing. Outside the fence, the ground was bare and devastated. The reason was simple: the fenced land was privately owned by informed farmers who carefully rotated their grazing animals and allowed the fields to lie fallow periodically. Outside the fence was land used by nomads. Like the herdsmen in 1800s Oxford, the nomads increased their heads of cattle without planning for its impact on the greater good. The soil eroded, the plants died, then the cattle died, and, ultimately, some of the people died. How does this lesson affect those of us who don’t need to graze our cattle? Well, like the cows, we all need food, water, and clean air to survive. With the increasing world population and the ever-larger megalopolises with tens of millions of people, the limit of the earth’s carrying capacity is called into question. When too many take while giving too little thought to the rest of the population, whether cattle or humans, the result is usually tragedy. While you might be more familiar with the phrase “global warming,” climate change is the term now used to refer to long-term shifts in temperatures due to human activity and, in particular, the release of greenhouse gases into the environment. The planet as a whole is warming, but the term climate change acknowledges that the short-term variations in this process can include both higher and lower temperatures, despite the overarching trend toward warmth. Climate change is a deeply controversial subject, despite decades of scientific research and a high degree of scientific consensus that supports its existence. For example, according to NASA scientists, 2013 tied with 2009 and 2006 as the seventh-warmest year since 1880, continuing the overall trend of increasing worldwide temperatures (NASA 2014). More recently, NASA scientists have noted that 2015 surface temperatures were the warmest ever seen since we began keeping records in 1880 (NASA, NOAA 2015). One effect of climate change is more extreme weather. There are increasingly more record-breaking weather phenomena, from the number of Category 4 hurricanes to the amount of snowfall in a given winter. These extremes, while they make for dramatic television coverage, can cause immeasurable damage to crops, property, and even lives. So why is there a controversy? The National Oceanographic and Atmospheric Association (NOAA) recognizes the existence of climate change. So do 192 countries that signed the Kyoto Protocol, a document intended to engage countries in voluntary actions to limit the activity that leads to climate change. The United States was not one of the 192 nations committed to this initiative to reduce environmental damage, and its refusal to sign continues to be a source of contention. What’s the argument about? For one thing, for companies making billions of dollars in the production of goods and services, the idea of costly regulations that would require expensive operational upgrades has been a source of great anxiety. They argue via lobbyists that such regulations would be disastrous for the economy. Some go so far as to question the science used as evidence. There is also a lot of finger-pointing among countries, especially when the issue arises of who will be permitted to pollute. World systems analysis suggests that while, historically, core nations (like the United States and Western Europe) were the greatest source of greenhouse gases, they have now evolved into postindustrial societies. Industrialized semi-peripheral and peripheral nations are releasing increasing quantities of carbon emissions. The core nations, now post-industrial and less dependent on greenhouse-gas-causing industries, wish to enact strict protocols regarding the causes of global warming, but the semi-peripheral and peripheral nations rightly point out that they only want the same economic chance to evolve their economies. Since they were unduly affected by the progress of core nations, if the core nations now insist on “green” policies, they should pay offsets or subsidies of some kind. There are no easy answers to this conflict. It may well not be “fair” that the core nations benefited from ignorance during their industrial boom. The international community continues to work toward a way to manage climate change. During the 2009 United Nations Climate Change Conference in Copenhagean, the United States agreed to fund global climate change programs. In September 2010, President Obama announced the Global Climate Change Initiative (GCCI) as part of his administration’s Global Development Policy. The GCCI is a United States Agency for International Development (USAID) funding program intended to improve the economic and environmental sustainability of peripheral and semi-peripheral countries by encouraging the use of alternative, low-carbon, energy sources with financial incentives. Programming is organized around three pillars: (1) climate change adaptation, (2) clean energy, and (3) sustainable landscapes (Troilo 2012). Pollution describes what happens when contaminants are introduced into an environment (water, air, land) at levels that are damaging. Environments can often sustain a limited amount of contaminants without marked change, and water, air, and soil can “heal” themselves to a certain degree. However, once contaminant levels reach a certain point, the results can be catastrophic. Look at your watch. Wait fifteen seconds. Then wait another fifteen seconds. In that time, two children have died from lack of access to clean drinking water. Access to safe water is one of the most basic human needs, and it is woefully out of reach for millions of people on the planet. Many of the major diseases that peripheral countries battle, such as diarrhea, cholera, and typhoid, are caused by contaminated water. Often, young children are unable to go to school because they must instead walk several hours a day just to collect potable water for their family. The situation is only getting more dire as the global population increases. Water is a key resource battleground in the twenty-first century. As every child learns in school, 70 percent of earth is made of water. Despite that figure, there is a finite amount of water usable by humans and it is constantly used and reused in a sustainable water cycle. The way we use this abundant natural resource, however, renders much of it unsuitable for consumption and unable to sustain life. For instance, it takes two and a half liters of water to produce a single liter of Coca-Cola. The company and its bottlers use close to 300 billion liters of water a year, often in locales that are short of useable water (Blanchard 2007). You might have read The Grapes of Wrath in English class at some point in time. Steinbeck’s tale of the Joads, driven out of their home by the Dust Bowl, is still playing out today. In China, as in Depression-era Oklahoma, over-tilling soil in an attempt to expand agriculture has resulted in the disappearance of large patches of topsoil. Soil erosion and desertification are just two of the many forms of soil pollution. In addition, all the chemicals and pollutants that harm our water supplies can also leach into soil with similar effects. Brown zones where nothing can grow are common results of soil pollution. One demand the population boom makes on the planet is a requirement for more food to be produced. The so-called “Green Revolution” in the 1960s saw chemists and world aid organizations working together to bring modern farming methods, complete with pesticides, to developing countries. The immediate result was positive: food yields went up and burgeoning populations were fed. But as time has gone on, these areas have fallen into even more difficult straits as the damage done by modern methods leave traditional farmers with less than they had to start. Dredging certain beaches in an attempt to save valuable beachfront property from coastal erosion has resulted in greater storm impact on shorelines, and damage to beach ecosystems (Turneffe Atoll Trust 2008). These dredging projects have damaged reefs, sea grass beds, and shorelines and can kill off large swaths of marine life. 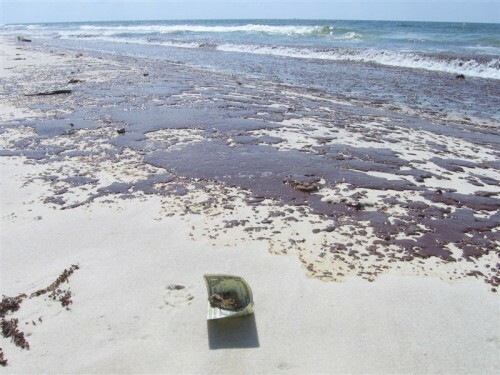 Ultimately, this damage threatens local fisheries, tourism, and other parts of the local economy. Where is your last cell phone? What about the one before that? Or the huge old television set your family had before flat screens became popular? For most of us, the answer is a sheepish shrug. We don’t pay attention to the demise of old items, and since electronics drop in price and increase in innovation at an incredible clip, we have been trained by their manufacturers to upgrade frequently. Garbage creation and control are major issues for most core and industrializing nations, and it is quickly becoming one of the most critical environmental issues faced in the United States. People in the United States buy products, use them, and then throw them away. 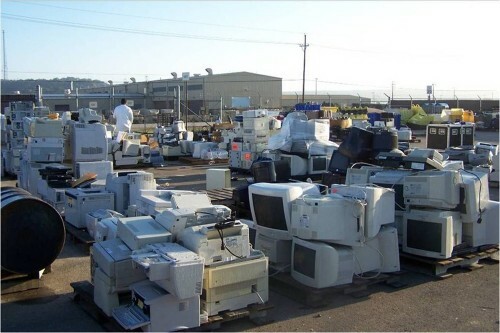 Did you dispose of your old electronics according to government safety guidelines? Chances are good you didn’t even know there are guidelines. Multiply your electronics times a few million, take into account the numerous toxic chemicals they contain, and then imagine either burying those chemicals in the ground or lighting them on fire. Those are the two primary means of waste disposal in the United States: landfill and incineration. When it comes to getting rid of dangerous toxins, neither is a good choice. Styrofoam and plastics that many of us use every day do not dissolve in a natural way. Burn them, and they release carcinogens into the air. Their improper incineration (intentional or not) adds to air pollution and increases smog. Dump them in landfills, and they do not decompose. As landfill sites fill up, we risk an increase in groundwater contamination. Electronic waste, or e-waste, is one of the fastest growing segments of garbage. 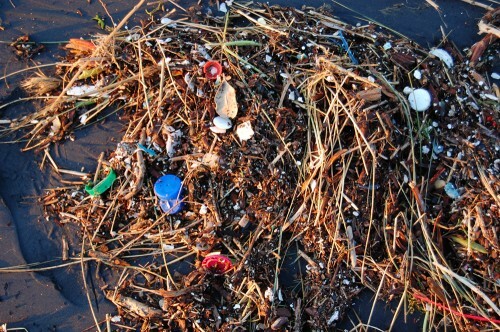 And it is far more problematic than even the mountains of broken plastic and rusty metal that plague the environment. E-waste is the name for obsolete, broken, and worn-out electronics—from computers to mobile phones to televisions. The challenge is that these products, which are multiplying at alarming rates thanks in part to planned obsolescence (the designing of products to quickly become outdated and then be replaced by the constant emergence of newer and cheaper electronics), have toxic chemicals and precious metals in them, which makes for a dangerous combination. reduce environmental impacts throughout company operations, from choosing production materials and energy sources right through to establishing global take-back programs for old products (Greenpeace 2011). Greenpeace produces annual ratings of how well companies are meeting these goals so consumers can see how brands stack up. For instance, Apple moved from ranking fourth overall to sixth overall from 2011 to 2012. The hope is that consumers will vote with their wallets, and the greener companies will be rewarded. Visit the Cleanups in My Community website to see where environmental hazards have been identified in your backyard, and what is being done about them. What is your carbon footprint? Find out using the carbon footprint calculator. Find out more about greening the electronics process by looking at Greenpeace’s guide. China’s fast-growing economy and burgeoning industry have translated into notoriously poor air quality. Smog hangs heavily over the major cities, sometimes grounding aircraft that cannot navigate through it. Pedestrians and cyclists wear air-filter masks to protect themselves. In Beijing, citizens are skeptical that the government-issued daily pollution ratings are trustworthy. Increasingly, they are taking their own pollution measurements in the hopes that accurate information will galvanize others to action. Given that some days they can barely see down the street, they hope action comes soon (Papenfuss 2011). Humanity, with its growing numbers, use of fossil fuels, and increasingly urbanized society, is putting too much stress on the earth’s atmosphere. The amount of air pollution varies from locale to locale, and you may be more personally affected than you realize. How often do you check air quality reports before leaving your house? Depending on where you live, this question can sound utterly strange or like an everyday matter. Along with oxygen, most of the time we are also breathing in soot, hydrocarbons, carbon, nitrogen, and sulfur oxides. Much of the pollution in the air comes from human activity. How many college students move their cars across campus at least once a day? Who checks the environmental report card on how many pollutants each company throws into the air before purchasing a cell phone? Many of us are guilty of taking our environment for granted without concern for how everyday decisions add up to a long-term global problem. How many minor adjustments can you think of, like walking instead of driving, that would reduce your overall carbon footprint? Remember the “tragedy of the commons.” Each of us is affected by air pollution. But like the herder who adds one more head of cattle to realize the benefits of owning more cows but who does not have to pay the price of the overgrazed land, we take the benefit of driving or buying the latest cell phones without worrying about the end result. Air pollution accumulates in the body, much like the effects of smoking cigarettes accumulate over time, leading to more chronic illnesses. And in addition to directly affecting human health, air pollution affects crop quality as well as heating and cooling costs. In other words, we all pay a lot more than the price at the pump when we fill up our tank with gas. Radioactivity is a form of air pollution. While nuclear energy promises a safe and abundant power source, increasingly it is looked upon as a danger to the environment and to those who inhabit it. We accumulate nuclear waste, which we must then keep track of long term and ultimately figure out how to store the toxic waste material without damaging the environment or putting future generations at risk. The 2011 earthquake in Japan illustrates the dangers of even safe, government-monitored nuclear energy. When disaster occurs, how can we safely evacuate the large numbers of affected people? Indeed, how can we even be sure how far the evacuation radius should extend? Radiation can also enter the food chain, causing damage from the bottom (phytoplankton and microscopic soil organisms) all the way to the top. Once again, the price paid for cheap power is much greater than what we see on the electric bill. 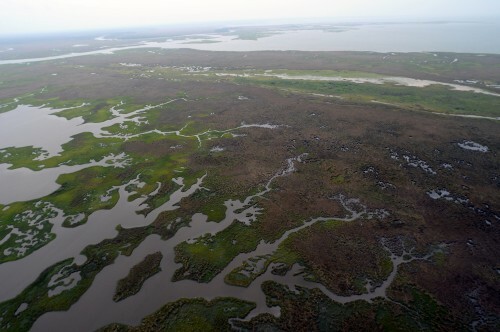 The enormous oil disaster that hit the Louisiana Gulf Coast in 2010 is just one of a high number of environmental crises that have led to toxic residue. They include the pollution of the Love Canal neighborhood of the 1970s to the Exxon Valdez oil tanker crash of 1989, the Chernobyl disaster of 1986, and Japan’s Fukushima nuclear plant incident following the earthquake in 2011. Often, the stories are not newsmakers, but simply an unpleasant part of life for the people who live near toxic sites such as Centralia, Pennsylvania and Hinkley, California. In many cases, people in these neighborhoods can be part of a cancer cluster without realizing the cause. There used to be a place called Centralia, Pennsylvania. The town incorporated in the 1860s and once had several thousand residents, largely coal workers. But the story of its demise begins a century later in 1962. That year, a trash-burning fire was lit in the pit of the old abandoned coal mine outside of town. The fire moved down the mineshaft and ignited a vein of coal. It is still burning.For more than twenty years, people tried to extinguish the underground fire, but no matter what they did, it returned. There was little government action, and people had to abandon their homes as toxic gases engulfed the area and sinkholes developed. The situation drew national attention when the ground collapsed under twelve-year-old Todd Domboski in 1981. Todd was in his yard when a sinkhole four feet wide and 150 feet deep opened beneath him. He clung to exposed tree roots and saved his life; if he had fallen a few feet farther, the heat or carbon monoxide would have killed him instantly.In 1983, engineers studying the fire concluded that it could burn for another century or more and could spread over nearly 4,000 acres. At this point, the government offered to buy out the town’s residents and wanted them to relocate to nearby towns. A few determined Centralians refused to leave, even though the government bought their homes, and they are the only ones who remain. In one field, signs warn people to enter at their own risk, because the ground is hot and unstable. And the fire burns on (DeKok 1986). After reading this section, will you change the way you treat your household waste? Explain. 1. The “tragedy of the commons” is a reference to what? 2. What are ways that human activity impacts the water supply? 3. Which is an example of environmental racism? 4. What is not a negative outcome of shoreline dredging? 5. What are the two primary methods of waste disposal? 6. Where does a large percentage of e-waste wind up? 7. What types of municipal projects often result in environmental racism?